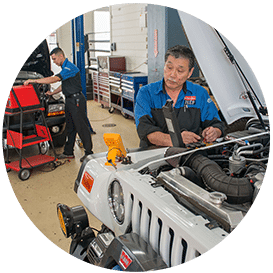 Golden Gate Jeep is an independent Jeep auto repair facility not affiliated with factory-authorized dealers, servicing Jeep, Chrysler and Dodge vehicles in San Francisco and throughout the Bay Area. 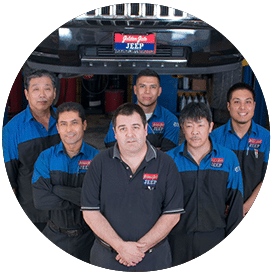 From regular scheduled maintenance to major repairs, we offer personalized attention to all your vehicles needs and will work to make sure our service is the best it can be. 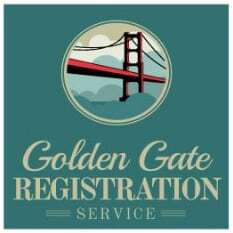 Golden Gate Jeep is pleased to offer assistance in registering your vehicle. We take the hassle and headache out of state paperwork and make registration easy for you. Forms are completed electronically and transmitted instantly to the DMV in Sacramento, saving you time. We can work with your aftermarket warranty company to see your repairs are performed and paid for by your warranty company. 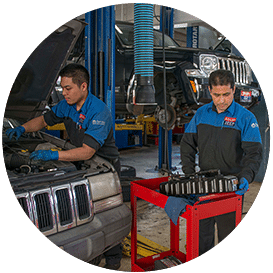 “If you own a Jeep in the city, this is the only place you will ever need to know for service and support. 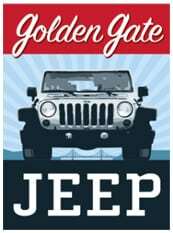 The team is great.” --Dan K.
Golden Gate Jeep location on Sutter St.
Closed Saturdays, Sundays and Major Holidays! We are also closed vacation weeks, Memorial Day, 4th of July, Thanksgiving & Christmas thru New Years. Open 7 AM to 6 PM Monday through Friday. If you prefer, you can call us at (415) 563-6100 or send an email to info@goldengatejeep.com.